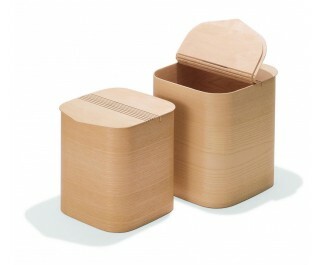 PINQUADRO laundry bin made of bent ashwood with flexible top. Set of two. Available in natural wood or dark brown stained.